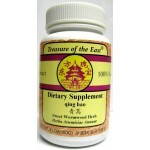 The Chinese Herbal products are imported from reputed companies in Taiwan and China that meet the international pharmaceutical GMP standard and also pass the Australian GMP(TGA) standard and USA NSF certified cGMP certificattion . 100 grams per bottle; 5:1 concentrated with hot water extraction. Used as Tea. Jade Dragon Teapills are little tiny BB like pills. They are lesser in potency than your average formulation. 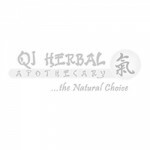 Premade miscellaneous Chinese herbal remedies from cGMP certified companies. 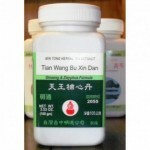 These include capsules, tablets, teapills, liquid extracts, and granule powders. Please see the FAQ section for further explanation on the differences between the various forms of premade medicines. Click on product for more sizing options. TOP 5 REASONS TO USE DR. KANG’S FORMULAS 1) Dr. Kang is trained in both Traditional Chinese Medicine and Western Medicine. He knows the traditional functionality of the herbs and their interactions as well as the pharmacological impact they make physiologically. He made these formulas to treat specific internal diseases with both medicines (Western and Eastern) in mind to ensure total effectiveness and safety. 2) These formulas are made from exceptionally high quality, all-natural herbs that are custom-grown from the finest Chinese sites. They are dried without preservatives, chemicals, irradiation or fumigation. 3) Herbs for each formula are cooked together for full interaction of ingredients to ensure the most potent integrated compound possible. Herbs are extracted at a ratio of 5-7:1 and dried strictly under Good Manufacturing Practice (GMP) conditions for consistent quality. Dr. Kang’s Formulas contain no lactose, sugars, carriers, flow agents or Genetically Modified Organisms (GMOS). 4) The fine ingredients within each capsule dissolve quickly and completely in water, and within the body--- unlike competitive tablets and unrefined brands that often remain undigested and wasted. 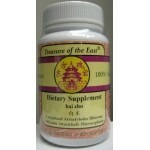 5) All procedures for selecting the most effective herbs, and their subsequent cooking, extraction, concentration and drying are under the direct supervision of Dr. Kang and Dr. Liang at all times, meeting stringent requirements for the proprietary methods and formulas that ensure that Dr. Kang’s Formulas work. 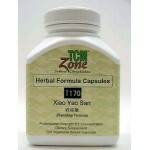 Chinese herbal formulas from cGMP certified companies. 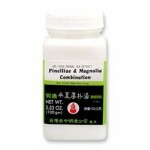 These include capsules, tablets, teapills, liquid extracts, and granule powders. Please see the FAQ section for further explanation on the differences between the various forms of premade medicines.